Always love having my nails and eyebrows done here, all the girls are lovely and all treatments are done to a very high standard. Love the longer length, long lasting, 4 weeks. Well worth every penny and had a little lash nap! Fantastic experience with Natalie and Hannah. Left the salon feeling wonderful. Sarah and her team go out of their way to make sure you are entirely satisfied with your visit. Team can’t do enough for you and all all so lovely!! Brows are absolute perfection again....thanks Sarah! I’ve been to beauty with Sarah many times and always enjoy it. Jill has given me lash extensions recently and I’m thrilled with them! 5 stars!! Belle is a perfectionist and always does a fantastic job, nails are spot on as always. Thanks to Rosie too for being attentive and making me a nice cappuccino on arrival .....just what I needed after a long day at work! I've been visiting Natalie at Beauty with Sarah for around 18 months. She does an amazing job on my brows, they look lovely and natural. I bite my nails and I kept promising that one day I'll get my nails done. About 5 weeks ago I started having gel nails and even on the first session when my nails were a mess, Natalie performed the un-thinkable for me and made my nails look gorgeous. I've just had my 3rd gel nail session yesterday and my nails look fab. It's up to me not to chew or pick them! 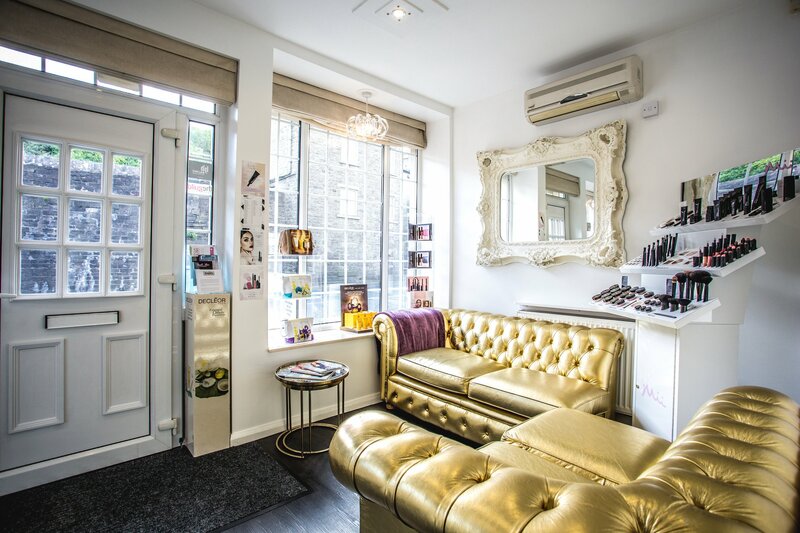 The girls at Beauty with Sarah are lovely, it's a very down to earth, friendly salon. I just only wish I had more spare time to have more treatments! Great service love coming to the salon . Beauty with Sarah is always s pleasure to go to. Everyone without exception is always pleasant and does the utmost to make you welcome, their best attention to your treatment is a norm. They make sure you are satisfied with your treatment be it a quick eyebrow tidy or full massage and facial. Nothing is too much trouble. Nice coffee too!! Wonderful.Totally relaxing with lovely massage. Excellent service as always. I love going to this salon as you're always made to feel welcome. Thank you. Lovely place and fab service from friendly professional staff. Thank you. Eye brow wax done perfectly.